Is raising goats for profit a viable business in 2018? To quote Sarah Palin: you betcha! Goats are hardy animals, easy to care for, and you can make money with them a bunch of ways (more on that in a minute…). 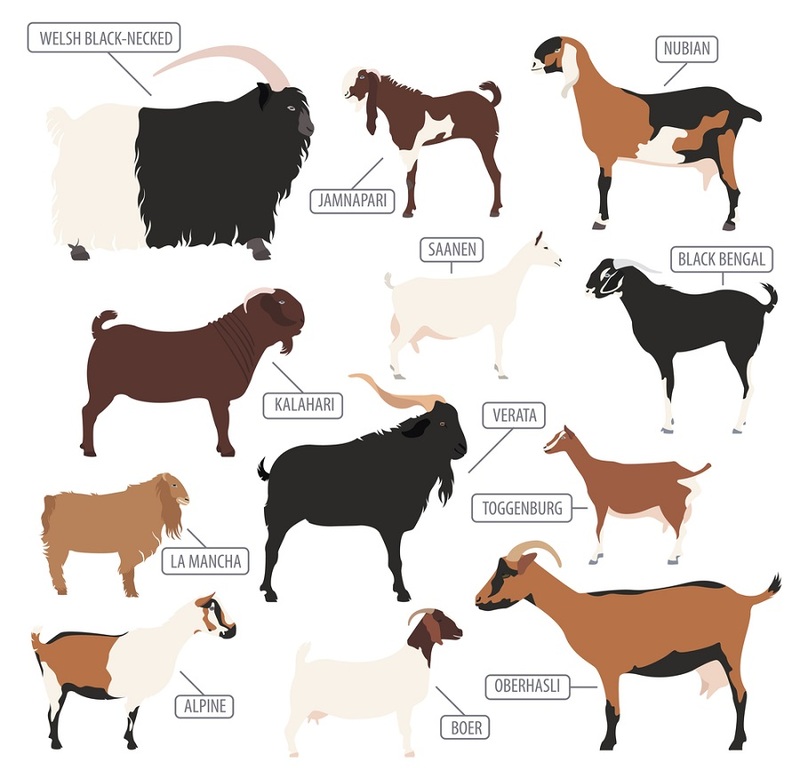 In this comprehensive guide, we cover ALL the basics of making money with both dairy goats and meat goats, including the best breeds, how to calculate profit potential, and much more! In the US, goats have largely been used in dairy production, for milk and cheese, but are increasingly being raised for meat, in response to consumer demand. 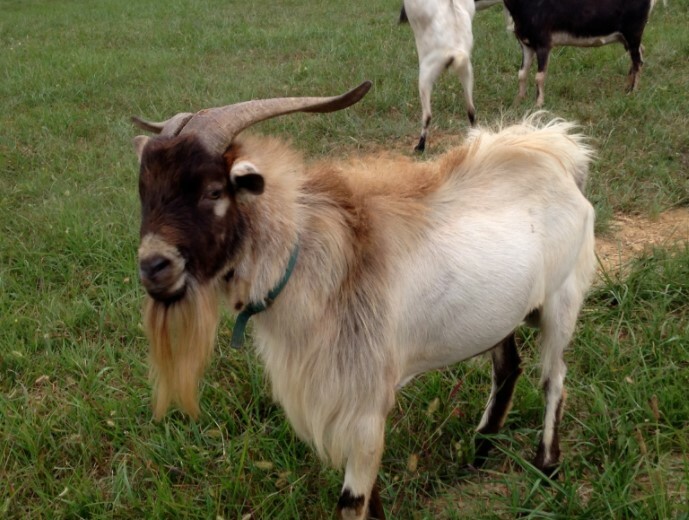 Goats also produce fine fibers like cashmere, angora, and mohair, and have grown in popularity as a safe, environmentally sound method of controlling weeds and brush in terrain that’s otherwise difficult to clear, improving pasture for grazing animals. These sociable, docile animals are also popular as pets! What is the Best Breed of Goat for Meat? How Many Liters of Milk can a Goat Produce in a Day? The versatility of goat uses, combined with their ease of care, disease resistance, and reduced maintenance compared to other ruminants, have sparked a growing awareness of the profitability of goat farming in the United States. 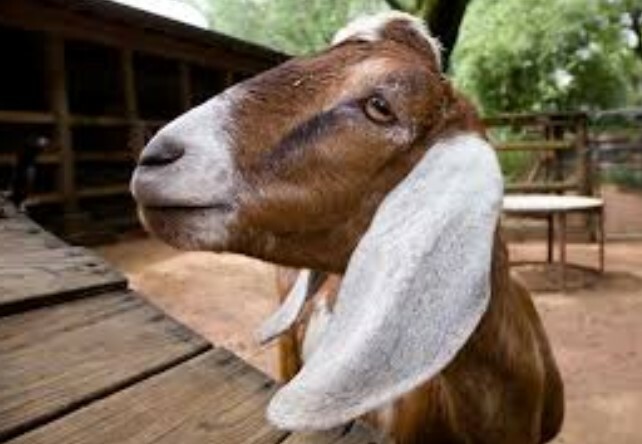 The market for goat meat in the US greatly exceeds the supply. While not traditionally eaten in the United States and northern Europe, goat is one of the most popular meats throughout the rest of the world, and is not only eaten, but preferred by many groups. There are no religious restrictions on goat meat, creating high demand in the growing Muslim population in America. It is also in demand among Hispanic, Caribbean, and east Asian immigrants to the United States, who use goat meat widely in traditional foods. Restaurant culture in the US is diverse, and chefs and restaurants compete to offer unusual or exotic dishes, authentic ethnic cuisines, or fusion and hybrid menus, to an increasingly adventurous and demanding foodie clientele. Goat meat is higher in protein and lower in saturated fat than either chicken or beef, and a good source of potassium, iron, and omega-3 fatty acids, making it appealing to health-conscious consumers. Goat farming tends to be naturally limited in scale, and their forage habits make it easy to produce animal products that are organic and free-range, making goat a good choice for people who want ethically sourced animal products. All of these factors mean that the market for goat products increases every year, far beyond domestic supply. Half the goat meat consumed in America is imported from Australia and New Zealand, a market that was worth $213 million to Australia in 2016. Due to disease conditions in other countries, goat meat is only allowed to be imported from Australia and New Zealand, and new breeds of goats have not been allowed to be introduced to the US since the 1990s. For those who consume goat meat for religious purposes, they often need the goat slaughtered under certain conditions. Those consumers prefer to buy living animals, so they can be slaughtered according to their specifications. This demand cannot be met by imported means. For chefs, foodies, and discriminating consumers, fresh, local, organic animal products are more appealing than frozen imported animal products. Local foods are more environmentally sustainable and socially responsible than food imports, and there is high consumer awareness of responsible food sourcing. For these reasons, and to satisfy consumers who prefer organic, free-range animal products, it is best to allow goats to forage and pasture in the terrain and environments where they do best. This practice also reduces feed costs, and improves pasture for grazing animals, as goats do not eat grass. However, it also typically reduces the size and scale of commercial goat operations, keeping most goat farms at an average of 30 head, serving local markets. … creates a great opportunity for profitable goat farming in the United States, with a variety of product offerings and means to market. The number of goats you can support on your land depends on the quality of forage and the productive capacity of your land. If all the forage produced on an acre of your land could be harvested and measured as hay, what would you have? For example, if you have 5 acres of poor pasture that would produce about 1 ton of “hay” each, and another 10 acres with excellent forage that would produce about 4 tons of “hay” each, then you would have a total of about 45 tons of hay/year. The average doe requires about 1 ton of hay every year, half of which she will forage for herself, and half which she will require as feed, so your land could support about 45 does. For reference, according to a 2010 survey of goat farmers in Arkansas, the typical meat goat producer had 12 goats on 5 acres, and the typical dairy goat producer had 14 goats on 15 acres. 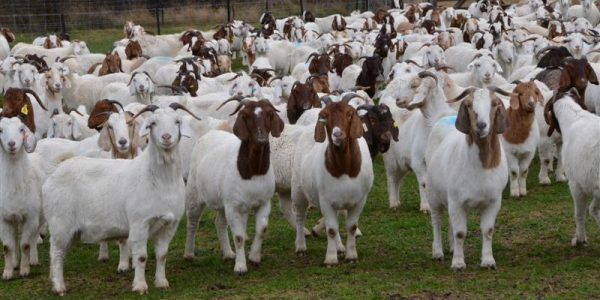 To calculate profit per acre, you would need to factor in the cost of harvesting from your pasture to store and feed goats in the off season, and profits would be determined by the breed and purpose of your goats. The best way to raise goats for profit is to start either a goat meat farm, or a goat dairy farm. While goat fibers are also a source of revenue, the profits realized from angora, mohair, and cashmere have decreased in recent years, and many farms that once raised goats for their fibers have converted into raising goats for meat. The problems with pasteurizing and marketing goat milk have led to an increase in popularity in goat cheese, aided by the higher fat content of goat milk over cow's milk. 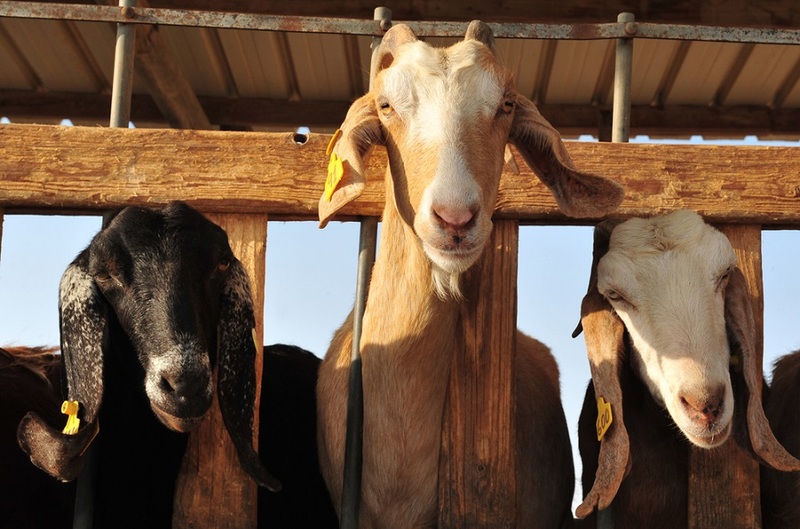 If you are considering starting a dairy goat farm for profit, consider whether you also have the skills and facilities to further process goat milk into cheese, improving profits by creating a higher-value end product. Whether you are raising dairy goats or meat goats, there are several opportunities to profit off of these growing industries. Generally speaking, it is thought that meat goat farming is more profitable than dairy goat farming since large, healthy meat goats can be sold at weaning and require less long-term care and investment. Dairy goats require the daily time investment of milking, and then the storage and distribution of milk to market. Often the two ventures are combined to some degree, since meat goat does also generally produce more milk than their kids require, and dairy goat farms produce more bucks than necessary for the herd. Every year, an unwanted 40,000-50,000 male goats are born on dairy farms in the United States and can be sold for meat. And when goat meat carcasses are sold, the skins can also be processed into leather, adding another profit source to a meat goat farm. Let's look at each type of goat farm more closely. As stated above, goat meat is increasing in demand and popularity in America due to several factors. There is a lot of opportunity to enter this marketplace and start raising meat goats for profit. When deciding whether to start a meat goat farm, it is important to first identify how you will sell your product. There are many paths to the marketplace, depending on your product and your location. Due to the different demands of different consumer groups – live animals, carcasses, and frozen meat – it is important to plan your farm profits based on your consumer. It is also important to keep in mind the demands of these different consumers; restaurants require steady, ongoing, high-quality supply, while direct-to-consumer sales may peak during certain seasons or holidays. Your breeding and production schedule should be paced to the needs of your market. What will it cost to create the farm, including fencing, shelter, feeders, and an environment suitable for goats? How much will each goat cost to purchase? Will you need to purchase a buck, or can you rent one suitable for your needs? What will it cost to raise a goat to market, including feed costs and medical care? ​How much can you sell your meat goats for? Each of those values change depending on the size of your farm, the breed of your goats, the quality of your pasture, and the value of your end product. 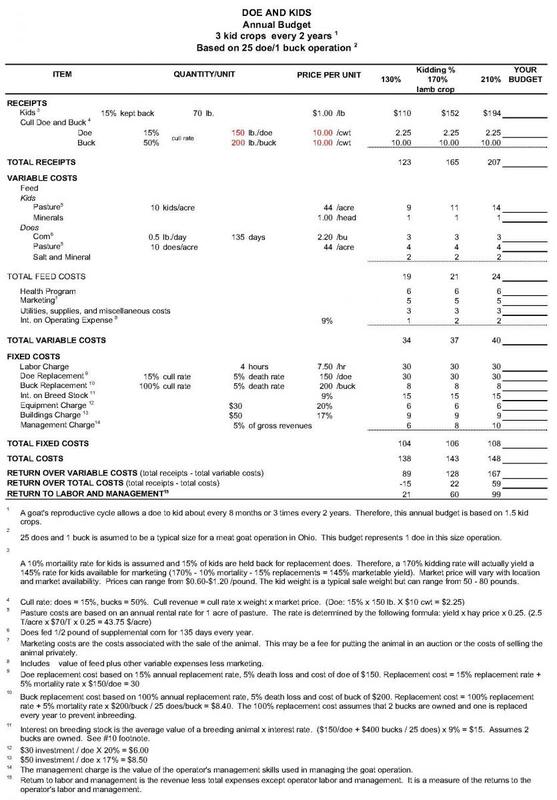 Click here for an example of a simplified budget for a goat meat farm or see the file below. 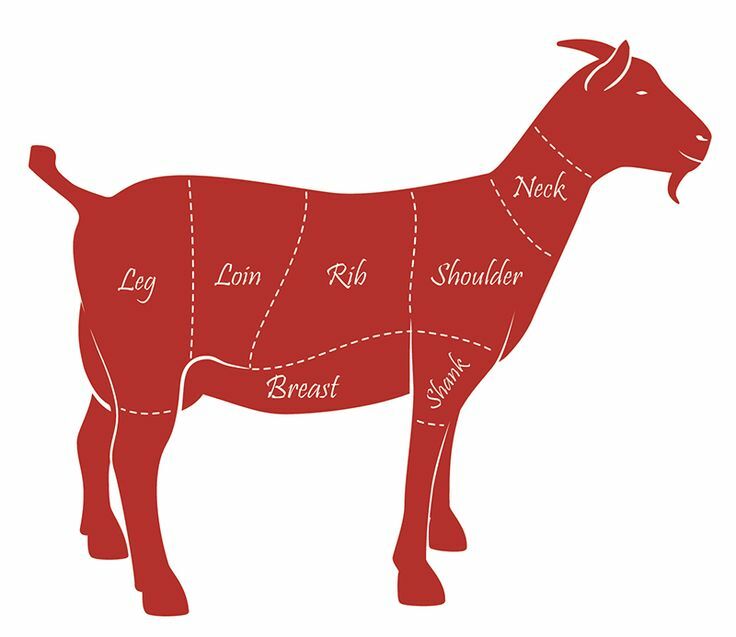 And here is a more comprehensive meat goat business plan that takes into account all the factors necessary to plan for a profitable meat goat farm: Meat Goat Business Plan (click the link to download) or check out the file below. On a meat goat farm, the qualities of the sire are very important, because the sire determines the growth rate and weight of kids. A high-quality, purebred sire can produce kids that are twice the weight at weaning of an average sire. A cross-bred sire may produce kids that follow the wrong breed line, and don't develop the desired characteristics. This is why purebred Boer bucks are so dominant in the meat market – Boer sires create large, fast-growing kids, ready to market with minimal care. Boer goats were developed in South Africa, in the early 1900s, and are the largest domesticated meat goat species. The name “Boer” is derived from the Afrikaans word for “farmer.” Boer goats are also resistant to disease and parasites, and are a docile breed, who are easy to manage. They grow quickly and can gain nearly half a pound per day under optimal conditions. Due to their many desirable qualities, Boers are popular for showing, and are among the most common goat species in the United States. Mature Boer does weigh 190-230 pounds, while bucks can weigh up to 340 pounds. They are an average of about 30 inches height at the withers. They generally have white bodies and brown heads, with or without a blaze, and with long ears. Spanish goats traveled to the New World with Christopher Columbus. The nautical routes the Spanish used for explorations were salted with goats and pigs, to establish feral populations that could be used for meat on later journeys. Spanish goats were a fixture of Spanish exploration, settlements, and missions in the New World. Over the generations, these goats have thrived in the Americas, and are hardier, easier to feed, and more resistant to disease than more recently imported breeds. Spanish goats range from 50-200 pounds, with large ears that are held horizontally and forward of the head. They are horned, and bucks may have long, twisted horns. The coat may be any color, and they have a straight or concave face. These goats are hardy and long-lived, naturally resistant to pests and hoof problems, and does are highly productive. However the breed is severely threatened due to crossbreeding with Boers, and conservation is a priority for pure Spanish goats. Pygmy goats originated in Africa, where they were developed for meat production. 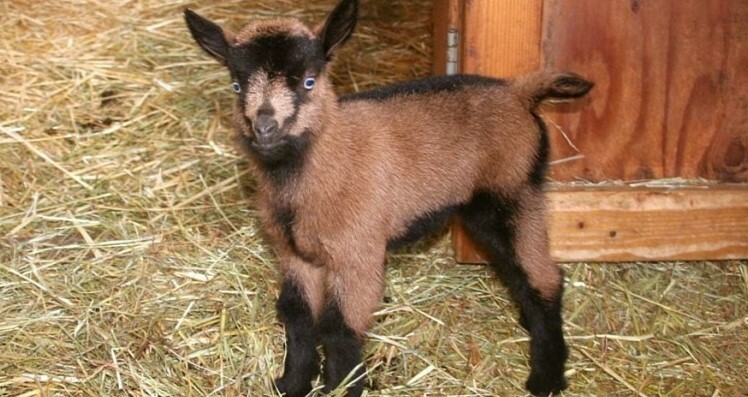 Also called the Cameroon Dwarf Goat, pygmy goats were introduced into the United States in the 1950s. They have a variety of coat colors, with straight, medium-long hair, and males have a thick mane and full beards. Pygmy goats weigh about 75 pounds, and adults stand about 16-23 inches tall at the shoulder. They reach maturity very quickly and does can get pregnant at just 3 months. Does regularly give birth to triplets. They live for 10-12 years and are excellent meat animals as well as pets and companion animals, but they give little milk. Kiko goats originated in New Zealand in the 1970s, when a group of ranchers developed a breed of goat specifically for high-yield, low-effort farming. Kikos were bred to be fast-maturing, disease- and parasite-resistant, and meaty. Introduced to America in the 1990s, Kikos have quickly become a popular breed of meat goat. Adult Kikos weigh 120-175 pounds and are known for excellent mothering and disease resistance. They have large, upward, and outward sweeping horns, and compact, muscular bodies. They are an excellent meat goat, due to their ability to grow quickly and require little supplementation. Fainting (Myotonic) Goats are smaller and easier to care for than other goat breeds. Unlike other goats, fainting goats do not jump, making them much easier to contain with minimal fencing. Their unique fainting habit is not linked to any negative health conditions, and they live a normal lifespan. 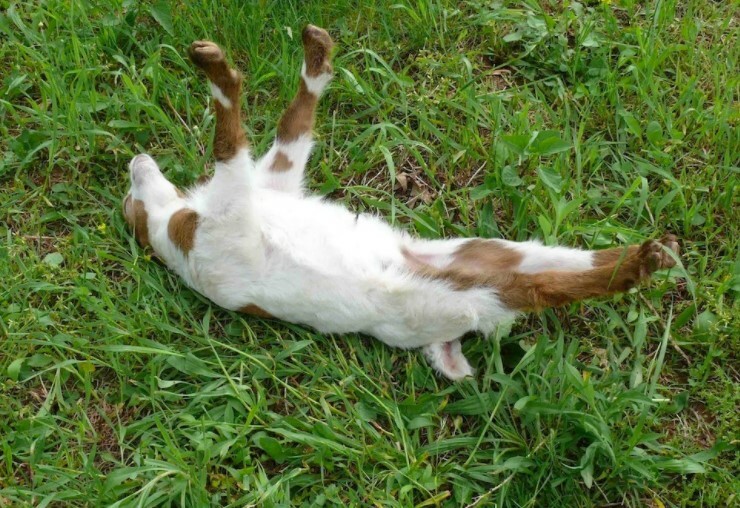 The fainting is due to a genetic mutation, and all fainting goats are descendants of a buck and three does that were left on a farm in Tennessee in the 1880s. Fainting goats are typically 60-175 pounds and stand 17-25 inches tall. While classified as meat goats, their scarcity makes them more valuable as breeding goats. 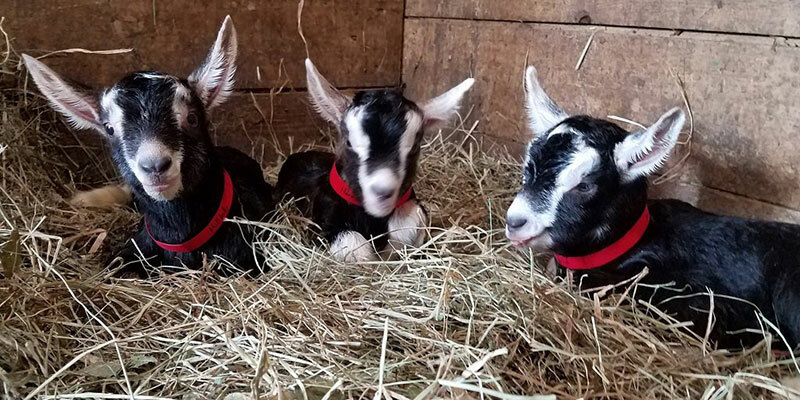 Only recently, fainting goats were classified as a threatened species, but the breed is being preserved and restored with extra care and attention. Raising dairy goats for profit is far easier than raising dairy cows. Goats cost less to purchase, and require less acreage, less purchased feed, and less expensive medical care than cows. They also require less labor and time in care and management. However, starting a dairy farm still requires capital investment. 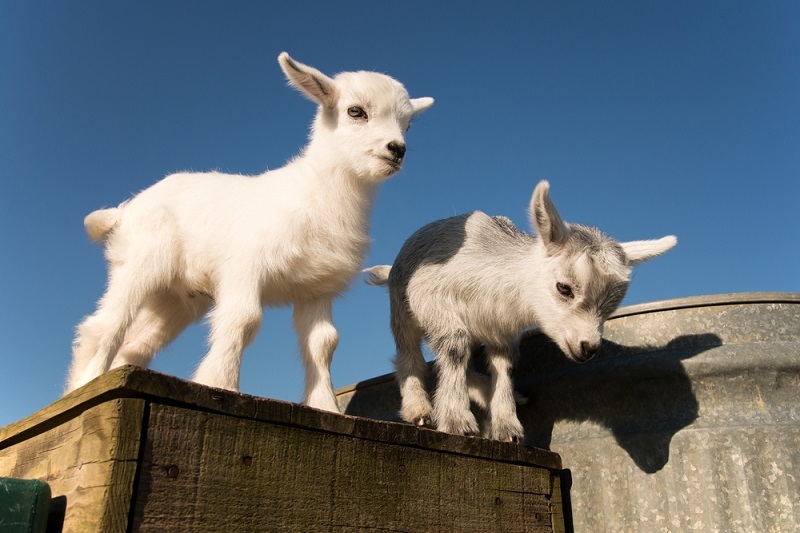 Not only do the goats need to be purchased, but their pasture needs to be enclosed in goat-proof fencing (which can be something of a challenge, given the ability of most goats to climb and jump). If you have ample, healthy grazing for your goats, they will be healthier and require less commercial feed and less medical care. Goat milk has difficulty meeting food standards designed for cow's milk, so large-scale packaging and marketing can be difficult. Research prices for goat's milk in your area. The costs vary widely but will help you calculate your potential profit against your costs. This example budget shows a cost of $4.30 to produce a gallon of goat's milk, but doesn't reflect the costs of capital investment on the dairy farm. Fresh, raw goat's milk often sells for up to $10/gallon, so a well-run dairy farm can be profitable, but you will need to calculate your own costs to see what your profit may be. It's natural to think of dairy goats and think of dairy products, like milk and cheese. But there are other sources of income that can be derived from dairy goats. Dairy goats are popular show animals, and many goat farmers produce show animals as an additional income source. A dairy goat farm will inevitably have more bucks born than are desirable for the farm. Investing in a large-breed, meat goat for siring will produce kids that grow quickly and put on a lot of muscle, making the young bucks more profitable when sold for meat. More people are interested in these intelligent, sociable animals as pets. Goats are an efficient and environment-friendly way of removing unwanted weeds and improving pasture for grazing animals. 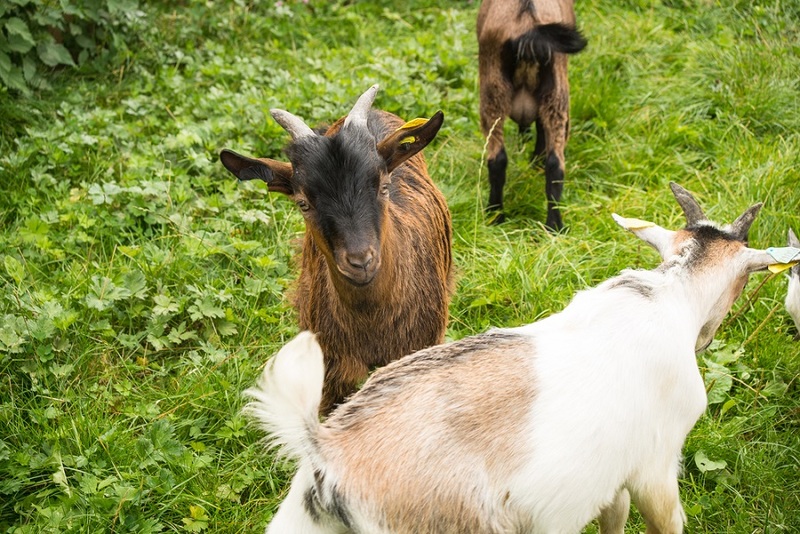 Many people, and even cities, have programs where goats are rented or borrowed to clean empty lots, or improve rugged terrain, removing weeds that would otherwise be difficult or expensive to clear. High-quality pasture and the freedom to forage are the best living conditions for dairy goats. A variety of weeds, brush, and shrubs ensures that their diet contains necessary micronutrients and costs less than purchased feed. It also gives the goats needed exercise that helps keep them healthy, and prevent problems with their hooves, and when kidding. Goats are naturally selective eaters and will avoid food that has been urinated on or defected on by another goat, which protects them from parasites, and will also naturally seek out foods with the healthy vitamin and mineral levels that they need. 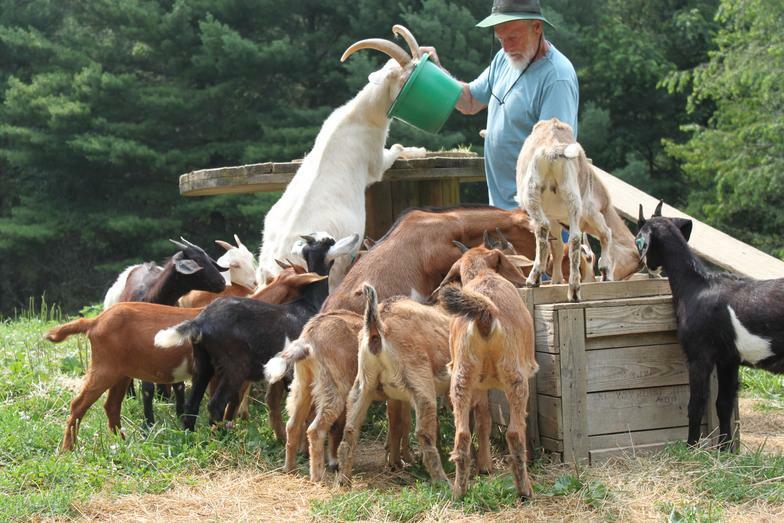 Pasture-fed goats are also important for consumers who want free-range, organic dairy products. 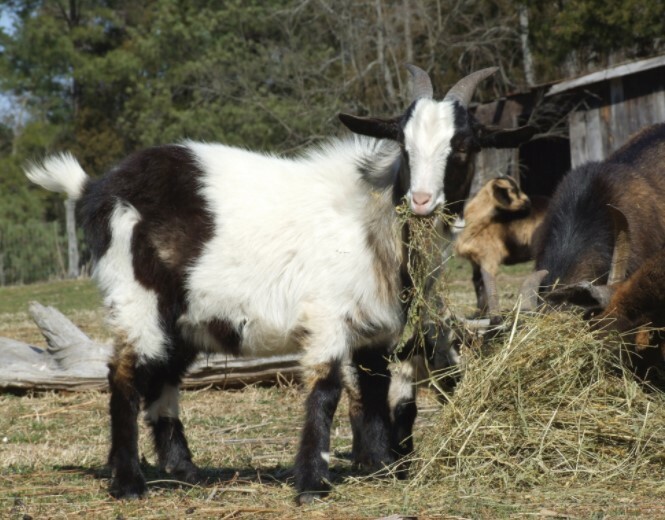 However, goats should also have access to high-quality hay (horse-quality), which they will browse all year, but rely upon in winter and in late summer when forage may be depleted. It is also common to supplement their diet with minerals, which may not always be present in your local soil or in your pasture. 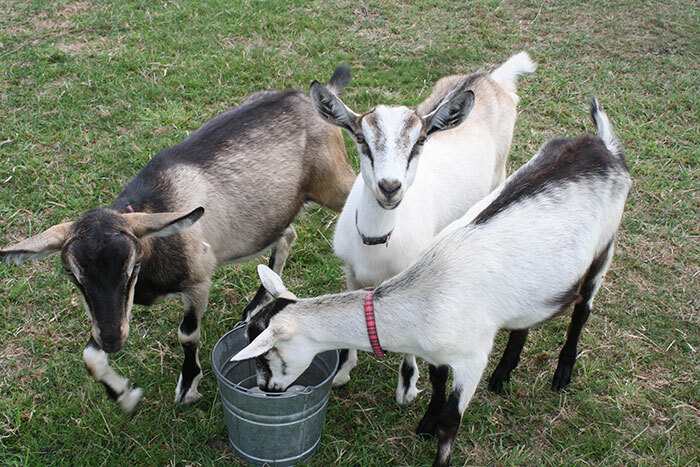 Goats need 4-5 liters of clean water every day and will not drink soiled water. They need as much as twice that amount of water when they are lactating, which, on a dairy farm, is most of the time. Does will need to be bred once a year. Although they can come in to heat as young as 5 months, they should not be bred until they are at least 8 months old or 80 pounds. Once bred, a doe should be separated from the buck to preserve the taste of the milk. She will generally kid about 150 days after being bred, and goats often have twins or even triplets. If she is milked continuously, she will produce milk for up to 10 months, after which you should let her rest for 2 months before being bred again. Dairy goats produce enough milk that a doe can nurse and be milked for production at the same time. Most dairy goat farmers wait until the kid is 2 or more weeks old, and then separate the kid from the doe overnight. They milk the mother in the morning, and then allow the kid to nurse freely all day. As the kid becomes less reliant on the mother's milk, you can increase milking to twice a day, about 12 hours apart. Does will continue to breed and give milk for many years, although milk production gradually decreases with age. You can generally expect a doe to continue to kid and give milk for 10 or more years. With a typical schedule of 3 kiddings every two years, and the high frequency of multiple births, a single doe can have 20 or more children over her lifetime and give over 40,000 liters of milk. 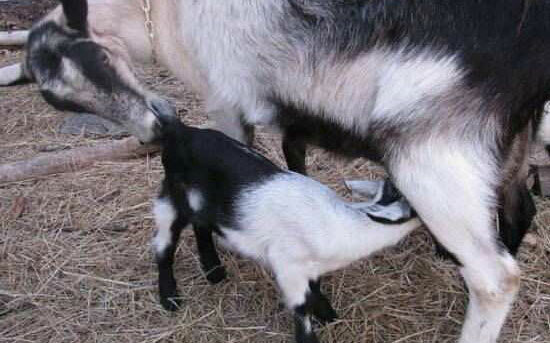 Dairy goats typically produce 1-3 liters of milk per day when they are lactating. The quantity of milk and the length of lactation differ from breed to breed, as does the amount of butterfat in the milk given. 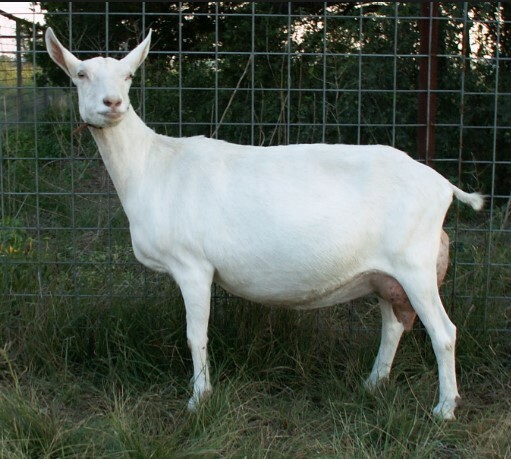 High goat milk production is highly desirable, even on meat goat farms; Boer goats often produce triplets and sometimes even quadruplets, although standard Boer does only have two teats. Excess kids often need to be bottle fed, creating an additional demand for fresh goat milk. The best breed of goat for milk production depends on whether you want to market milk alone, or dairy products. Statistically, the Saanen produces the most milk per lactation period, with a range of 610-5,490 pounds, or 275-2,740 liters, of milk per lactation. But their milk is only 3.3% butterfat, among the lowest of the popular dairy goat breeds. Nubians produce an average of 560-4,270 pounds, or 252-1921 liters of milk per lactation, with a startling average of 4.9% butterfat. 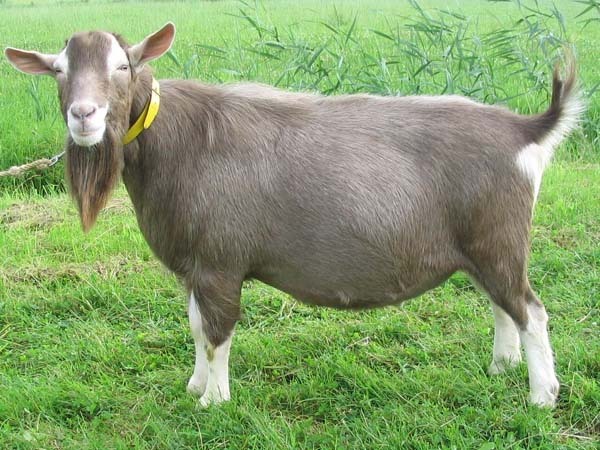 Nigerian Dwarf goats have the highest butterfat of all dairy goats. High fat content is important when making dairy products from goat milk, including cheese, soaps, and moisturizers. Goat's milk is structurally different than cow's milk in that it is naturally homogenized and the milk and cream will not separate. This makes the milk taste richer and smoother, but also makes it difficult to produce cream or butter from goat's milk. The best breed of goat for milk really depends on what your final product to the consumer will be, as well as the amount of space you have on your farm, and on your local climate. Some goat breeds do better in hot, arid regions than others, and some prefer cooler, damper climates. 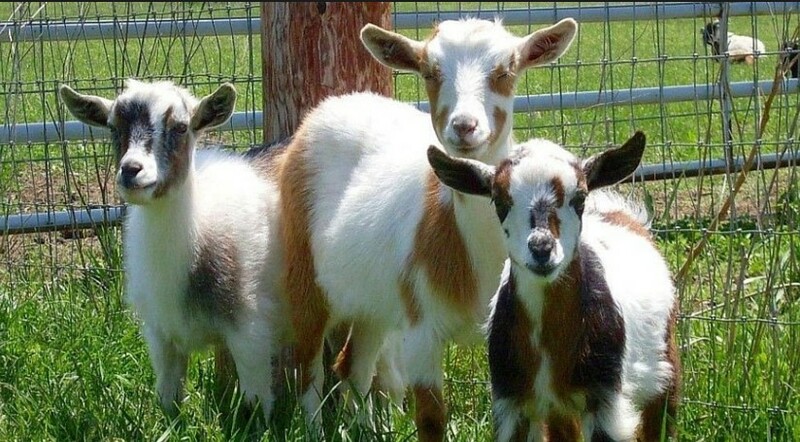 Nigerian dwarf goats originated in West Africa and were developed for easy maintenance and high milk production. They are gentle and intelligent animals, popular as pets, and frequently have blue eyes. While these goats are only 17-22 inches tall at the withers, and weighing about 75 pounds, the Nigerian Dwarf goat produces 1-8 pounds of milk per day. Their milk is higher in butterfat than other breeds, at 6.5%, making their milk especially prized for cheese, soap, and cream production. The Nubian goat breed originated in England in the early 1900s and was a crossbreed between native British goats and goats from the Middle East and North Africa. Nubians are docile and sociable, and often very vocal. Nubians are a large breed, and does weigh an average of 135 pounds, with bucks weighing 175. They stand 30 inches tall at the withers, and have distinctively long, pendulous ears. Nubians produce 4-7 liters of milk per day and have a high butterfat content in their milk compared to other dairy goats, at 4-5%. The Lamancha is the only breed of dairy goat that was developed in the United States. They originated in the 1920s in California and were bred for producing high volumes of high-fat milk, while being docile and people-loving. The cooperative, good-natured Lamancha is an excellent dairy goat or companion animal. This breed can be any color but is recognized for its small ears. They are small goats, about 28 inches tall and weighing 130 pounds. Lamanchas are famous milk producers; does can produce about 3 liters a day and can be milked for up to 2 continuous years without re-breeding. Their milk contains about 3.9% butterfat. Saanen goats are Swiss domestic dairy goats. Switzerland has the most productive dairy goats in the world, and the Saanen are the most productive Swiss breed. These highly productive goats have been exported widely and now have populations in more than 80 countries around the world. Saanens are the largest Swiss goats, standing 35 inches at the withers, and weighing over 185 pounds. They have white skin and short white hair and produce an average of over 221 gallons of milk over a 264-day lactation period. Their milk contains about 3.2% butterfat. Alpine goats originated in the French Alps, and they produce large quantities of low-fat milk. This breed is popular due to the large quantities of milk produced, long lactation period, and docile temperament. Today, there are many sub-species of Alpine goats, including British Alpine, French Alpine, American Alpine, and Swiss Alpine. Alpine does weigh an average of 135 pounds, with bucks weighing 170 pounds. Males stand 32 inches high at the withers and does are a couple inches smaller. While Alpine goats are heavily crossbred and come in a variety of colors, their ears are distinctively upright, medium-sized, and forward-facing. A female Alpine goat gives an average of 4-5 liters of milk daily, with about 3.4% butterfat. Alpine goat milk is much higher in protein and vitamins than Saanen goat milk, with just a little more fat. 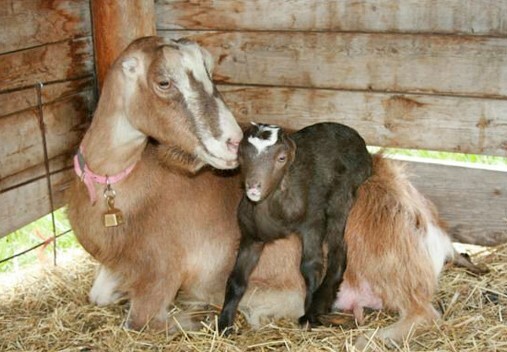 Toggenburg goats are a dairy goat breed developed in Switzerland, dating back to the late 1800s. It is a highly productive breed of dairy goat and has been exported to more than 50 countries around the world, with a distinctive sub-species in Britain. Female Toggenburg goats weigh around 120 pounds at adulthood, while males weigh an average of 165 pounds, and the height ranges from 34 to 38 inches at the withers. They are generally mouse-grey in color with white facial markings but have a variety of coat colors. They give an average of 3 liters of milk per day, with an average butterfat content of 3.8%. Oberhasli goats are an American goat species descended directly from 5 chamois colored goats imported from Oberhasli in Switzerland in 1936. Until 1977, this breed was known as “Swiss Alpine” in America. 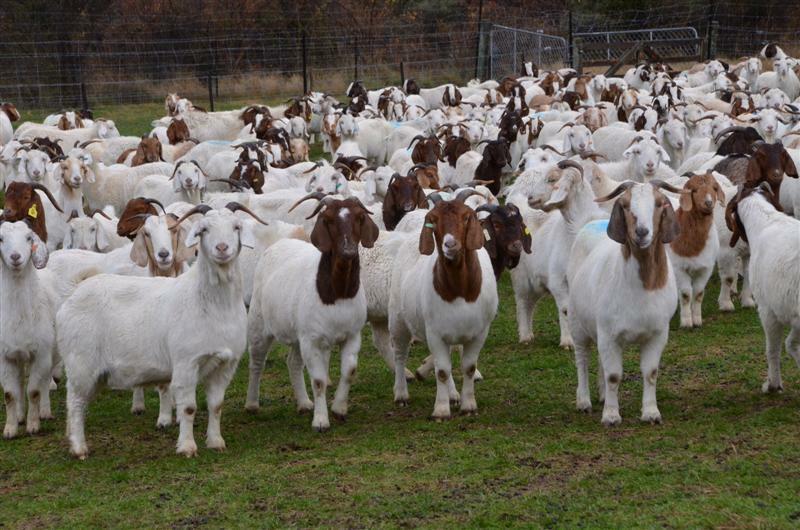 In 2010, there were a total of 1729 Oberhasli goats in the United States, distributed over about 30 different states. Oberhasli goats are similar in size to Toggenburgs, though slightly smaller, with does weighing 120 pounds, and bucks weighing 150 pounds. Height ranges from 28-30 inches at the withers. They have a brown coat with a black dorsal stripe. They give an average 1-3 liters of milk per day, with butterfat content ranging from 3.5 – 4%. These goats are also prized for their handsome markings and calm demeanor as well as their milk production. All over the world, goats have been valued for centuries as animals that are intelligent, easy to care for, and versatile, with a wide variety of uses in nearly every situation. Today, goats are finding new niches in America, as changing demographics and market forces make the goat more appealing. More people are discovering that these small animals can create a powerful profit, with many ways to take advantage of their natural abilities. As America becomes more ethnically diverse, and develops a more adventurous palate, goat meat is in high demand. As our cities grow, and competition increases for land and water, goats become more commercially viable than cattle and grazing livestock. And as consumers are more willing to pay a premium for local, organic, ethical food sources, farmers are finding goats to be an ideal offering for discriminating customers. Goats are an easy way to take advantage of all these new opportunities, and more people are discovering that goat farming is a profitable business. Even with all this consumer demand, there are still challenges getting goat products to market, as existing pathways, regulations, and facilities are still largely focused on cattle. It is important to carefully consider your obstacles, as well as your opportunities, before embarking on this exciting journey. With all the consumer demand, and real nutritional and environmental benefits of goats, these regulations and expectations will change in the coming years but are still a factor. Remember that being a farmer is still being an entrepreneur and find your niche and stake a claim to your segment of this fast-growing market. This is good enough for me. Thanks for this opportunity. I admire rearing goats and this will help my desire to engage in this occupation even as I am about to retire from the military service. Thanks for your comment, Komolafe!